Van Rijn brings up the intangible, less-easily-measured values that ultimately drive marketing: Is your content building upon itself? Are you engaging readers with an authentic interest in your content? Do you know your deletion rate and are you attuned to the SPAM complaints? The rates matter, but they are only the beginning. Start paying closer attention to open rate, click rate, and heart rates by sending responsive dynamic content. We can’t underscore enough the importance of behavioral, geolocational, and psychological micro-segmentation. Microsegment your content or you will end up in the spam pile, the trash bin, or among the unsubscribed. Cross-Channel Marketing Data: Your audience engages with you on social media, through the website and perhaps through PPC campaigns, so don’t let this precious data go to waste in your email campaigns! Take a look at some stellar email personalization samples in this article on email personalization techniques. One of the newer trends empowering large-scale micro-segmentation is email content automation. 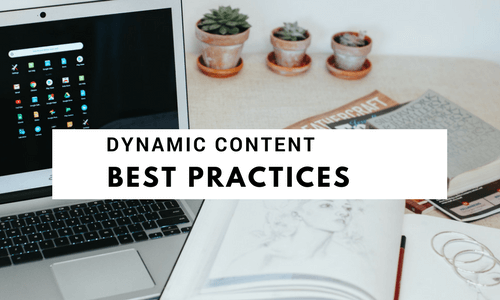 Dynamic content is the advanced email marketing tip that ties all the other aspects together. Your audience is giving you feedback all the time, and most advanced email marketers try to incorporate aspects of micro-segmentation in their campaigns. Trust us, if you invest in putting all the micro-segmentation cues together, you will see results in your email marketing KPIs.